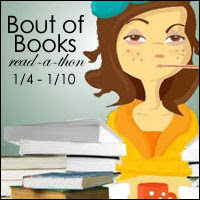 Laurie Here - Contemporary Fiction and MORE - Book Reviews: #boutofbooks SIGN-UP POST! NOW to 1-10-16! Today, 1-5 is the LAST DAY TO JOIN! #boutofbooks SIGN-UP POST! NOW to 1-10-16! Today, 1-5 is the LAST DAY TO JOIN! Okay! Each day of this Read-A-Thon I'll have an update, so keep watching! Also, I have a TON of reviews to post and write, too! SO MANY I'm feeling glued to my chair! I'll start posting them later today!